The Viennese pastries culture is our greatest passion. For many years our family has placed great value on offering fine baked goods with coffee. Based on this aspiration and the enthusiasm of our guests, the small bakery from the 1970s has developed into the heart of our family enterprise today namely the Patisserie. It is our pride and joy and delivers fresh delicacies and cakes to our cafés daily. In Landtmann’s fine Patisserie traditional confectioner's handcraft is held high. The very best ingredients and experienced handcraft ensure highest quality. Look forward to a piece of Viennese culinary art; from our speciality Apfelstrudel to classic or seasonal cakes. You can enjoy them in our surroundings or take them home. The classic strudel of Viennese pastry-making has long enjoyed an international reputation. Our confectioners are committed to extending the reputation of this legendary pastry. 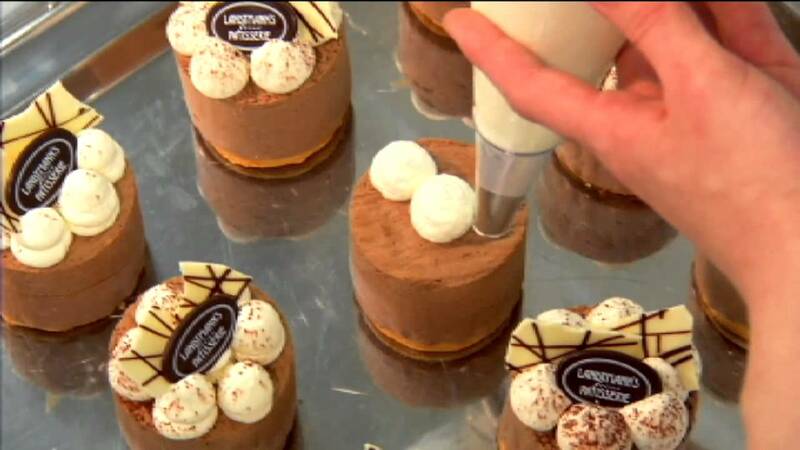 The Landtmann Collection – Design meets the art of pastry-making. Together with the two designers from Lucy.D we have designed a sophisticated type of cake. Whether it is for a birthday, a wedding or an anniversary – be different! Do you like things to be classic and clear-cut? With a cake from our classic collection you will always make people happy. Simply delicious.